As some will know I can't currently drive on the roads due to epilepsy. However yesterday I got the chance to drive various vehicles off road with some very good friends. 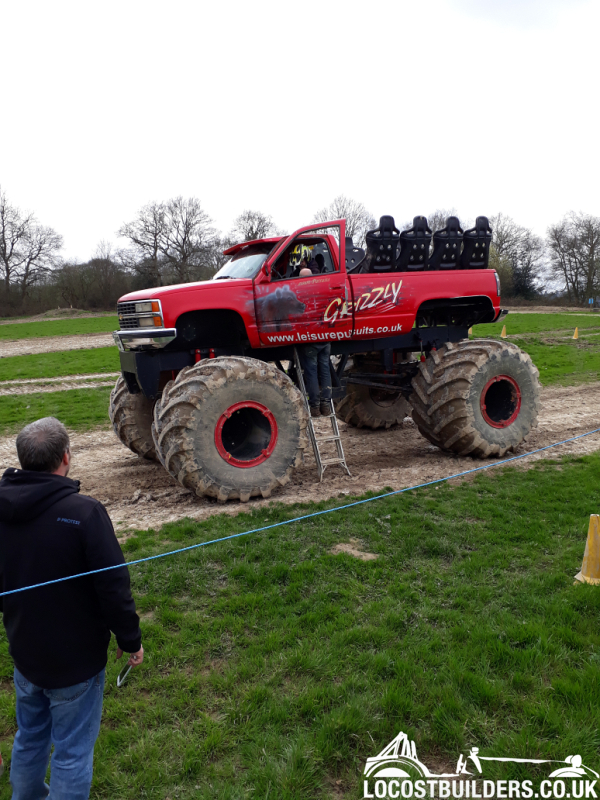 One of these was a 7 litre V8 monster truck (7-8 mpg). After driving it we all got a ride in the back with the instructor driving. We got very wet and muddy, but once again silly grins all round! I thought the same about the rear seats. Would love to sitt in the front, would be a bit nervous in the back!. I thought about a cage over the rear seats myself, but once you're up there you realise quite how big the vehicle footprint is (massive). I suspect you'd really have to drive it like a looney to risk tipping it over. Driving it though was simply amazing - sheer engine grunt was just unstoppable.